It was not the best of days for the precious metal. Gold is currently treating down $-18.24 or -1.51% at $1193.54. 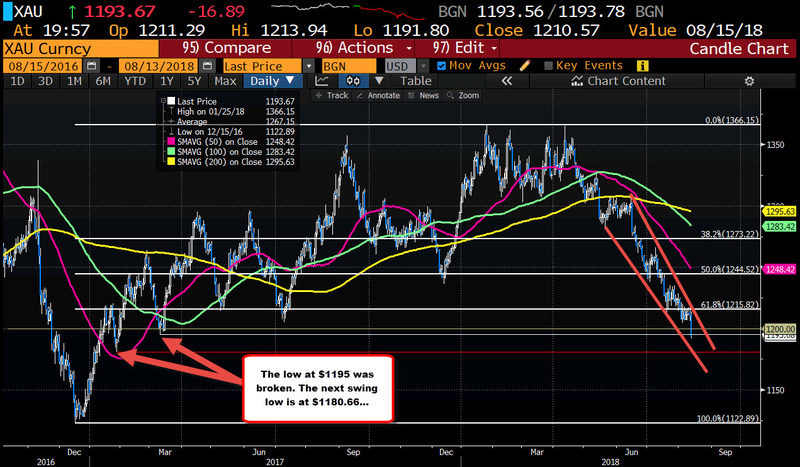 The price is trading the $1200 level for the first time since March 2017 and fell to the lowest level since end of January 2017. The low for the day reached $1191.80. The next downside target is the January 2017 low price at $1180.66.